of how to be guided by the angels of Heaven, Gods holy spirits. ...and to learn wisdom from those angelic guides. in your time of prayer and seeking. "I want to know how God created this world. know His thoughts. The rest are details"
"And afterward, I will pour out my Spirit on all people. your young men will see visions." This site in here to serve as a basic direction for those who may wonder if God does exist, firstly, and secondly, that if He does exist, can we be given the same gifts as the prophets of old in the Holy Scriptures, to receive an answer from Him. Why am I here? and Why was I born? Where does God fit in my life, and how and possibly why? Will God answer if I ask Him, ... and how do I reach Him? Each of us is seeking to find that one thing which fulfills our mind and heart and soul; and which lifts our spirit. There seem to be so many voices in the world who proclaim that they have the answer to all our spiritual seeking: from self-help books, with the goals of money and fame, to the many Christian denominations who often claim they are the sole source and only path to God, or even to the many religions of the world who proclaim they have a source of wisdom in their many minor gods. It is confusing at best. They can't be all true and the only source of the way to free our minds and our spirits, even though they each claim they do. They can't all be the right path because they each contradict the next! Most of the churches of today , for all their willingness to follow the right path, that because of mis-translations regarding spirit communication, and by misinterpretations by previous translators of the Scriptures, are often fraught with error when trying to teach from the Bible. Many preachers, even worse, try to preach on the seeking after money primarily, whcih is the opposite of the messages from holy spirits from Heaven. Instead of seeking the spirits of truth who are the source of truth that Christ said can lead us to God, the churches keep their parishioners busy with mundane activities. The ability to concentrate and to pray and meditate in order to reach the holy spirits sent by God is lacking to a large degree in the churches today. With every denomination preaching that they alone have the true interpretation of the Scriptures, and that all others are wrong, we must conclude that either only one is right, or that they are all wrong and only God is right. There can be only One Source of Truth. Who better to ask for God's will than from those who are from Heaven, God's holy spirits, the angels of Heaven? 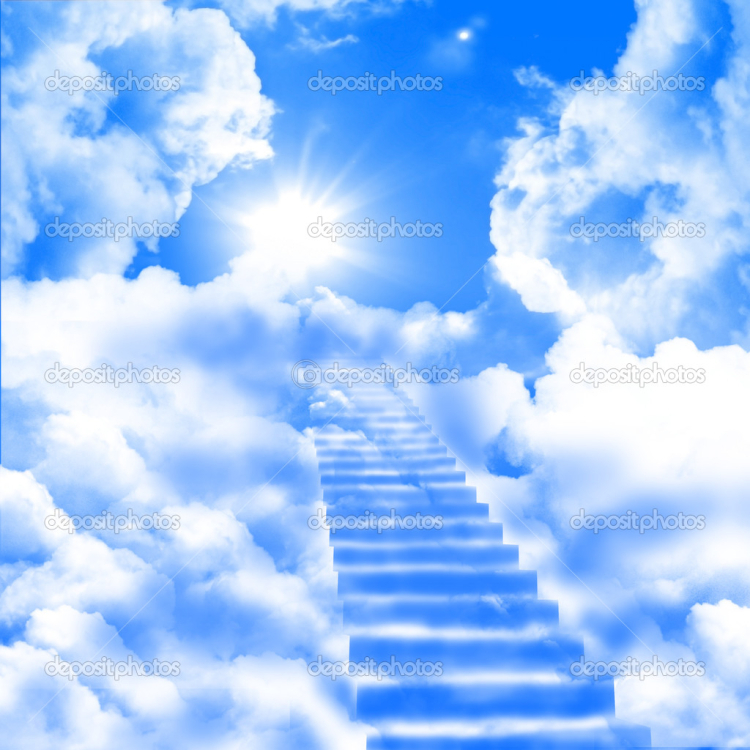 Who better to tell us how to get to Heaven than from those who live in Heaven, God's holy spirits. for it is more profitable than silver and yields better returns than gold." We read again and again throughout the Holy Bible that God will send His angelic messengers to the seekers of truth. Today on earth, there are many messages from the spirit world, but very few, if any, make an attempt to seek out the God of the Old and New Testaments. Instead of seeking wisdom from Above, the many psychics are busy seeking out so-called famous names from history, or attempting to reach former relatives out of curiosity. Others purposely seek out answers for fame, money and power, the very same gods which led well known cultures in the past to destruction as they listened with increasing obsession to the messages from the demons of hell, leading their listeners away from the God of truth, the God of Jesus Christ. Today there are thousands of "channelers" who say they are being guided by the spirits. But whether these spirits are Heavenly or earth-bound or evil is often difficult to discern at first. These spirit must be tested according to 1 John 4, 1-6. Few, if any of these psychics say that a Spirit of God is speaking from them. Most couldn't care less about Heavenly discernment, nor of God's will in thier life. But throughout the books of the Bible we continually read that God will send us an answer in a manner we can understand if we only ask and seek Him. 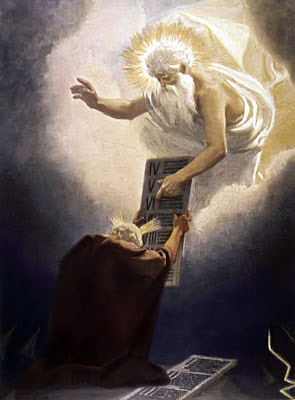 God's messages are always sent by His Heavenly spirits, or by His Son, Jesus Christ Himself when the purpose is great enough, as with Moses in the Old Testament or Paul in the New Testament. Through the pages of the Bible we often read again and again that God sent His answer to His followers. But where can we find an example of this promise today? From modern self-absorbed psychics? From professional preachers and their paid-for sermons? Surely not! Most denominations of Christian churches today even warn us against seeking a spiritual answer directly from God. Many a preacher states that all communication with the spirit world is of the devil and not of God - they say that God no longer sends humanity the Spirits of Truth - the very Heavenly spirits which Jesus Christ, the Lord promised to all His followers when He was on earth. The reason the preachers steer their followers away from receiving direct messages from Heavenly angels on their own, in their own prayer meetings at their homes with a gathering of friends and relatives, is because then the preachers are out of a job, and no longer needed. The seekers of truth would have a Direct Source to ask God the answer, and the tithe money would no longer fill the preachers' bank account. The tithe to God would be spent where God directly tells His followers to give it, or to use their resources, such as for the needy directly, without passing through the paid-for hands of any intermediary who takes a portion for themselves first before it reaches those in need. God is a Spirit. Jesus Christ is a spirit. The Heavenly angels are spirits. Each creature is a spirit incarnated, including humans. Heaven is in the spirit world. Jesus Christ said He was returning to His Heavenly Spirit Kingdom before He left this earth. Jesus told the repentant criminal on the cross that he would be with Jesus in the spirit realm of Paradise in Heaven. And Christ promised to send The Spirits of Truth to His followers, to remind them of all He told them and to further their knowledge of God's laws and His will. Are we to honestly believe the preachers and psychics who preach against communication with God's holy spirits, His angel messengers from Heaven? These corrupt leaders are finally put out of business if each person can pray and meditate and follow the Heavenly spirit guides sent to them from God, those assigned from Heaven at their birth. For the professional preachers rely on a payment from their audience. If that same audience began to ask God and then recieved answers sent from Heaven, there would be no purpose to pay money to the preacher. The works of the spirits of Heaven would prevail and the false lessons of men would cease to have influence over the masses. More willing are the professional preachers and false psychics to guide people away from God's angels by blocking that path, warning others away from asking God directly for the truth. Christ warned his listeners about the same type of false teachers when He spoke against the false teachers of His day? So then are all of these these professional ministers the modern day false teachers that Christ warned us about? No. Many spiritual leaders have good intentions, and there is still evidence of the Heavenly spirits of God working through the faithful, by the good works that are fulfilled, as witness the life of the well known Mother Theresa from a few years past, and others like her. There are many well meaning preachers, and many charities who are well intended, good people at heart. However, it is the false lessons that have been passed down from generation to generation that has polluted the wonderful truth sent directly from God. And this is what is lacking in the churches today. Traditions are what have failed the Christian denominations. Every person must work out their own salvation by steadfastness and consistency of a pure heart. No human leader can be placed on a higher place than any other human. God alone is the Perfect Leader. He has sent us the perfect Intercessor, Jesus Christ. Who better to teach us all about Heaven and how to get there than from those who live there! God's angels, God's Holy Spirits whom Christ sends. us a stone. He will guide us as we seek Him. And with His wisdom we will grow in understanding. send His spirits of truth, as we read in Hebrews 1:14. These days, the people who can receive messages from the spirit world of are called many names - instruments, psychics, mediums or clairvoyants, to name a few. The talent to communicate with the spirit world is similar in both good and bad people, but the godly seek after the spirits of truth, whereas the evil minded man seeks after his own will, which then beings of hell interfere in that talent of communication and use that opening to cause many troubles for those who listen to those types of messages from low spirits. In the Bible, the most common titles of those who communicated with the spirit world were called prophets or seers, and servants of God. Elijah was a good prophet of God. He challenged the infamous 450 'prophets of Baal' also carried the same title "prophet" yet it was known by their evil intentions that they were only manifesting evil spirits. Jesus stated in the New Testament concerning discernment of spirit levels, that "...by their fruits you shall know them..." (Mathew 7:16) Each person attracts a spirit similar to their own character. What you seek out will also attract to you. If a person remains truthful, seeking only the truth, they will have good spirits more often helping them. If a person seeks out mundane, worldly or even evil and selfish interests, spirits of a similar level will come to them. The fruit of their character will attract similar type spirits. Today we mostly call those who are able to communicate with spirits as mediums. In the Old Testament mediums are mentioned as well. In Isaiah (8:19) God sends His message: "When someone tells you to consult mediums and spiritists, who cheep and gibber, should not a people inquire of their God? Why consult the dead on behalf of the living?" The cheeping and gibbering, or rather the nonsensical noises and uncontrolled type of messages from low spirits through human prophets was to be avoided at all costs. Only God's holy spirits with wisdom and truth were to be listened to. In 1 John 4: 1-6, John says to only listen to those spirits who can affirm that Jesus of Nazareth was the incarnate Christ who defeated satan. (paraphrased). By the dead, the Bible means those spirits or people who were separated from God. The Book of Revelation (20:13) refers to Death as another name for Satan when it says "Death and Hades gave up the dead..."
Jesus said to one person. "Let the dead bury their dead..." (Luke 9:60), which means that those who are separate from God in their heart can go and do as they choose, that is, to spend time with those of the past, their 'dead'. And Jesus continued, "But you go and preach the Kingdom of God"
So, the term dead and living means either those who are with satan (death) or with God (Life). God warns the people not to consult those 'prophets' or 'mediums' who have no wisdom to share, but only make noises like animals and other unsettling signs of low and evil spirits manifesting. Isaiah 8:19 19 "When someone tells you to consult mediums and spiritists, who whisper and mutter, should not a people inquire of their God? Why consult the dead on behalf of the living?" God said specifically to "Inquire of Him" (Isaiah 45:11), and to ask of Him of things to come and the truth concerning their lives. In this modern day we have changed the meaning of the words prophet and medium from what these words meant originally. Both are the same gift or talent or skill - which is: "the ability to communicate and to reach the spirit-world." And depending on the level of spirit that the person is seeking, we would regard them as either a good prophet or a deceptive prophet. There are those who are communicating with mundane or evil spirits who are calling themselves good prophets, or good mediums. These people might even think they are doing good. They might believe they have good intentions and therefore will, without a question, be led by good spirits. But this cannot be true, anymore than a person who thinks themselves honest can for that reason trust every other person on earth. (1 John 6:1-4). "Dear friends, do not believe every spirit, but test the spirits to see whether they are from God, because many false prophets have gone out into the world. 2 This is how you can recognize the Spirit of God: Every spirit that acknowledges that Jesus Christ has come in the flesh is from God, 3 but every spirit that does not acknowledge Jesus is not from God. This is the spirit of the antichrist, which you have heard is coming and even now is already in the world." "I affirm that Jesus of Nazareth was the incarnate Christ who defeated satan and who returned to Heaven victorious." If a spirit cannot state this, without pausing half way through or altering the statement in some other form, they must be sent away, and a pray should be said to ask God to send a "Heavenly spirit to keep His control over all events" during the time of prayer or in a prayer meeting. We hope this site and these messages therein may enlighten your day. But we mostly hope it will draw you to God Almighty, and that His love may you find in your life as a seeker of truth, of freedom and of intelligent knowledge, provable knowledge. We read in Job 29:4: "Let us discern for ourselves what is right; let us learn together what is good." It is this lesson from God that we can discern the truth from the false, the good from the wicked. Who better to teach us how to get to Heaven than those who are from Heaven? The holy spirits sent by God are that Source of Truth who Christ promised to His followers. In times past, we read in the Bible, that God spoke to His loyal followers. How else did God speak? We read in the Old Testament that God did speak, and He spoke through the Urim and Thummim, also called the Breast Plate of Judgement . He also used the Arc of Covenant. These other forms were outside the use of the human instrument, the prophets or mediums. It was a more perfect way to send a message,a more direct voice rather than through a person. We read about this in (Exodus 33:11) that the "Lord spoke to Moses face to face as a man speaks to his friend". And spoke through a "bright cloud". God Himself or Jesus spoke to Moses with the most important messages. Other times, the prophet Joshua, the son of Nun was available for one of God's angels to send personal messages on less important matters. In those days it was possible to ask God questions and also then receive direct answers from God. This is the basis of the messages that we often read in the books of the Bible today. There is a a most important book which provides us with much guidance on this subject: "Communication with the Spirit World of God, It's Laws and Purpose", by Johannes Greber (Amazon.com - also on this site free) Please order one today and read of this phenomenal gift of spirit communication, or download it free on this site and read the whole of it. This most discerning book of truth by pastor Johannes Greber gives the reader a very specific order of methods by which any person can develop a direct connection with God's Heaven and His spirits of truth. This popular book, now in several languages around the world, was originally translated from the German to English in the 1920's, with it's first printing in 1932 in America in English. You can read and download the two PDF files of the book free on the link to the left. Copyright GodsGrandPlan.org 2013,2014,2015,2016,2017,2018 All Rights Reserved. No portion shall be copied without permission of the author.